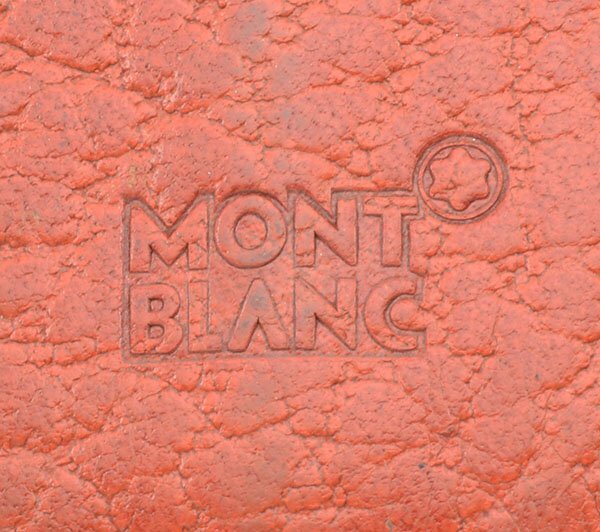 Red alligator skin pattern leather pen case from Montblanc with the Montblanc emblem. Excellent condition. Length Approx 6-5/16" long x 3-1/16" inches wide. Color Red alligator skin patterned leather. 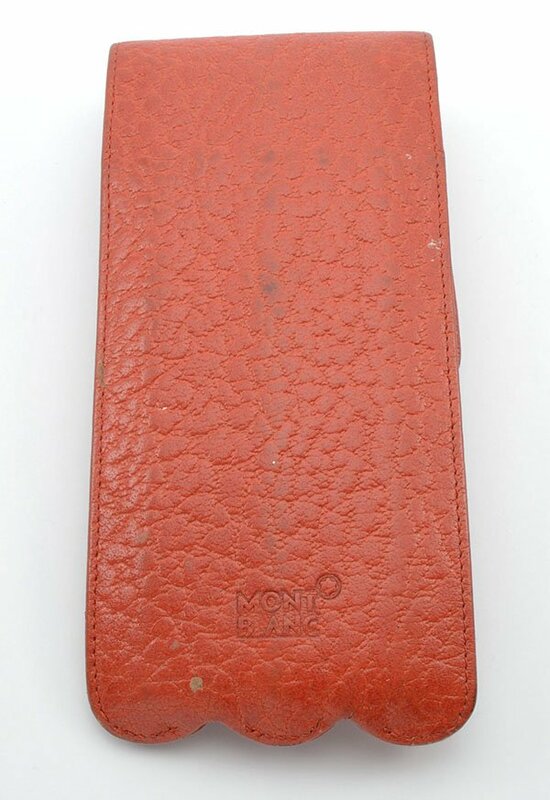 The case has a flap that comes over the top and closes it with a magnetic snap under the Montblanc icon. It has three partitions to separate the pens. It looks like someone has glued on a faux diamond above the icon. Condition Excellent condition. 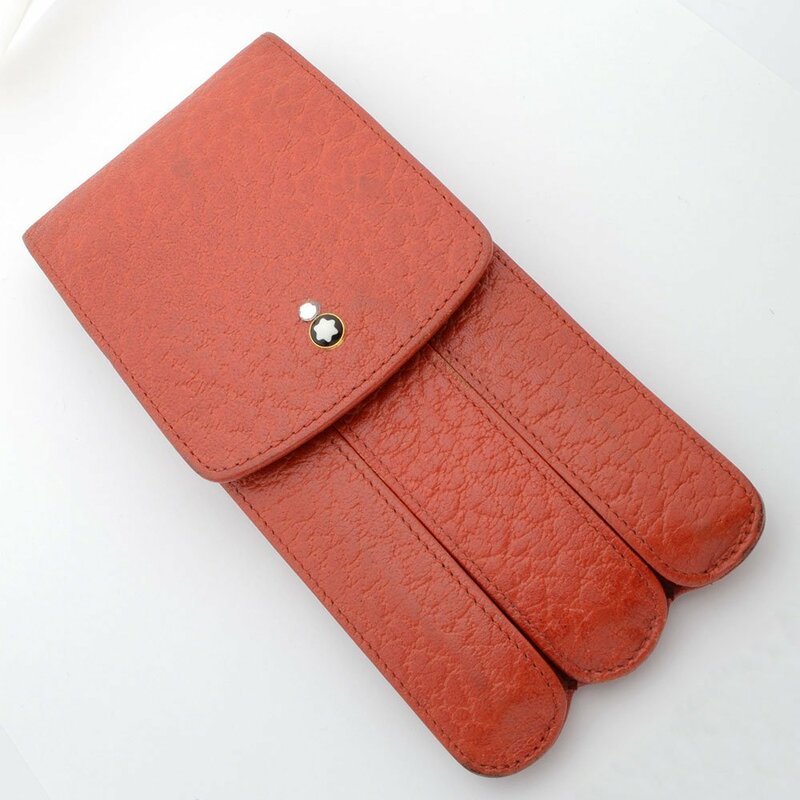 The leather has softened with use but it still has stiffness to it. There is some dark areas (light on the front and back; more pronounced on the inside where the pens were housed). This can probably be cleaned off with a leather cleaning product. There are a few little dots of something showing up in the photos on the back of the case. These rubbed off and are no longer present. 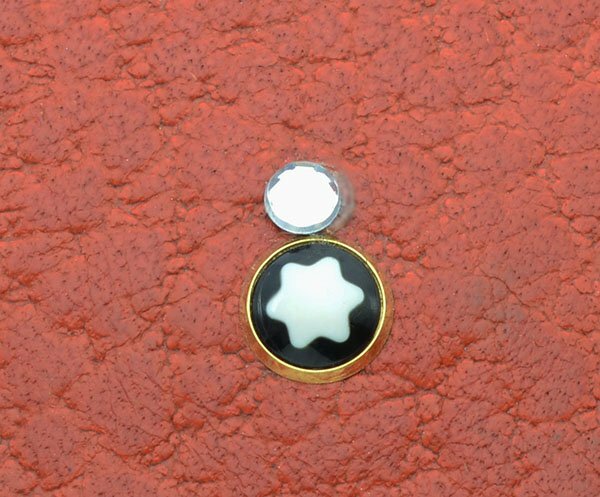 The little fake diamond is only lightly glued on and is easy to remove or move, so we can't guarantee how long it will stay attached.